This quilt was my first design all on my own. 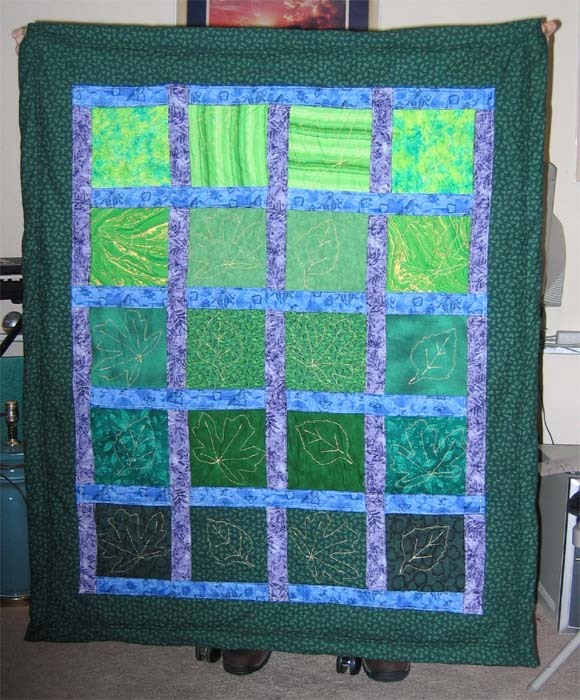 It was inspired my the many trees surrounding my mom's house--of whom the quilt was a christmas gift. She loves it very much, and it is displayed in her living room.